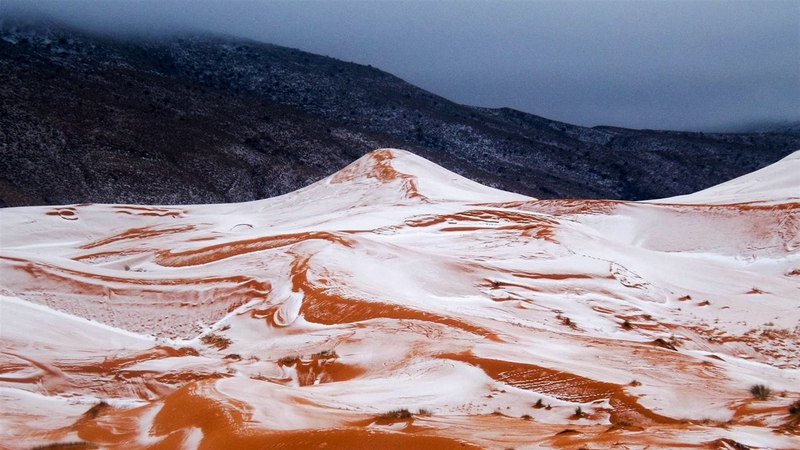 Snow blankets Sahara sand dunes after rare icy weather. 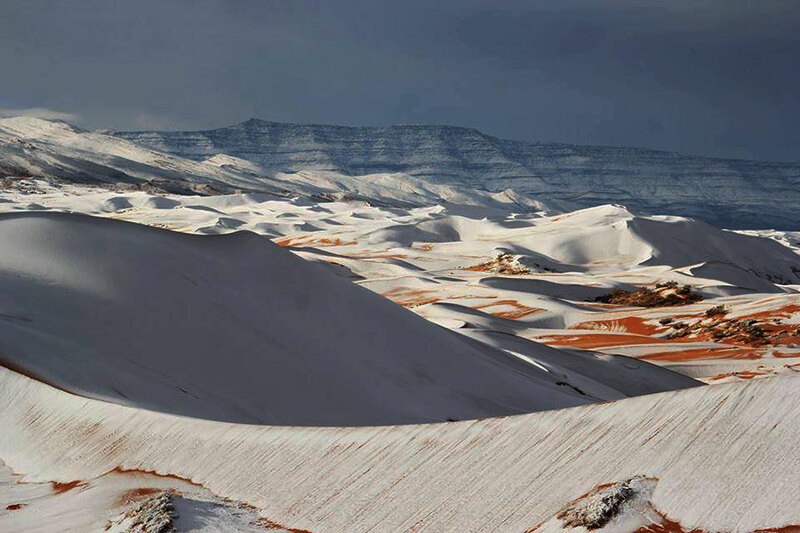 The desert was coated with up to 16 inches of snow near Ain Sefra, Algeria, known as the gateway to the Sahara. The Sahara Desert has recorded the biggest snowfall in living memory after a huge winter storm in Algeria. 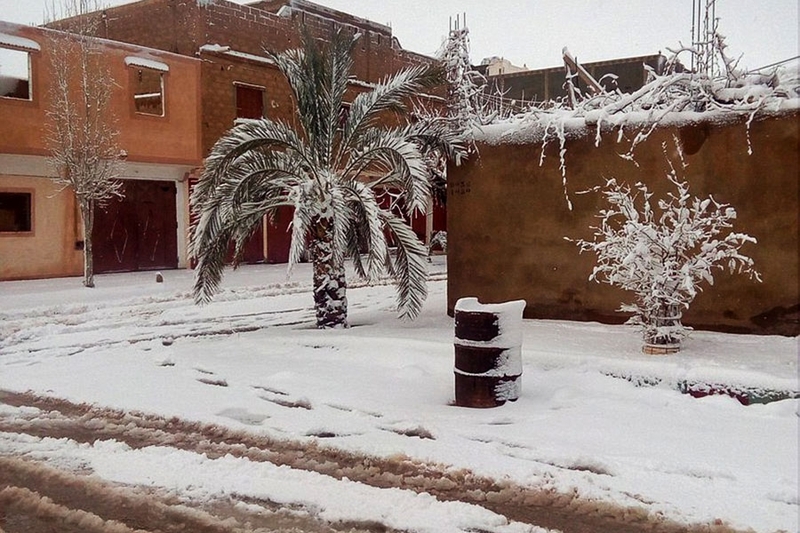 The desert town of Ain Sefra was surrounded by snow which is at least a 16 inches deep. 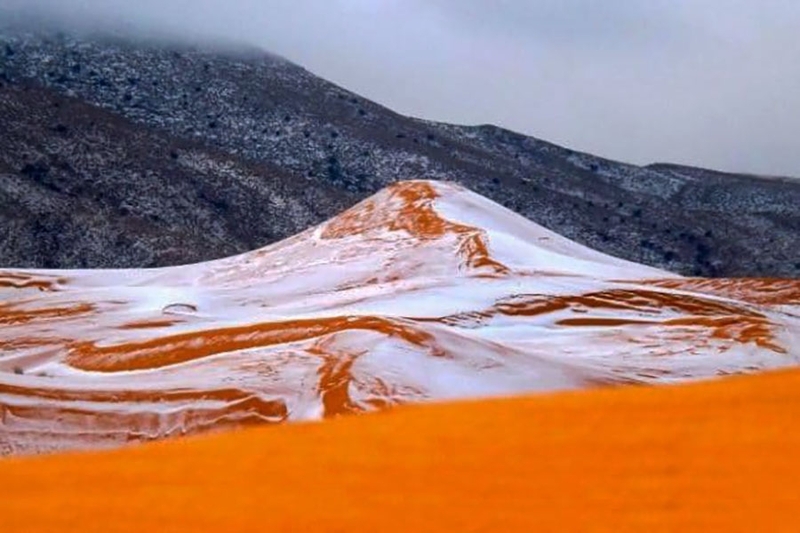 The town saw a sprinkling of snow just before Christmas when a few flakes settled on the red sand dunes of the world’s hottest desert for the first time in 37 years. 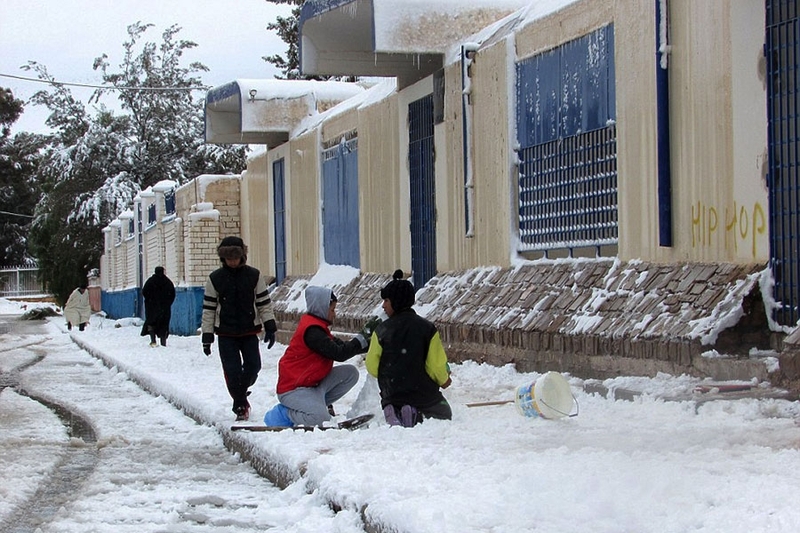 Snow has not been in Ain Sefra since February 18, 1979, when they had a flurry which lasted just 30 minutes. 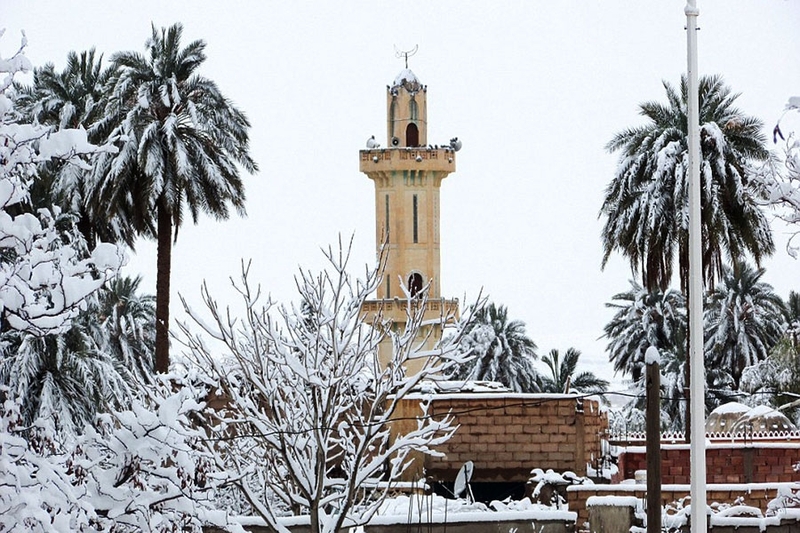 Ain Sefra, which was founded in 1881 as a French garrison town, sees average high temperatures of over 37C in summer and has seen record lows of -10.2C in winter. 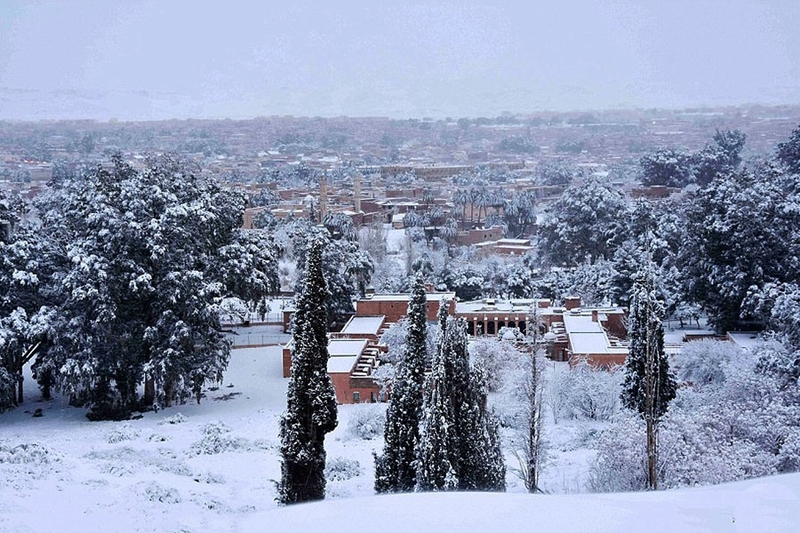 Ain Sefra, not far from the Moroccan border, is around 1,000 metres above sea level and is surrounded by the Atlas Mountains. 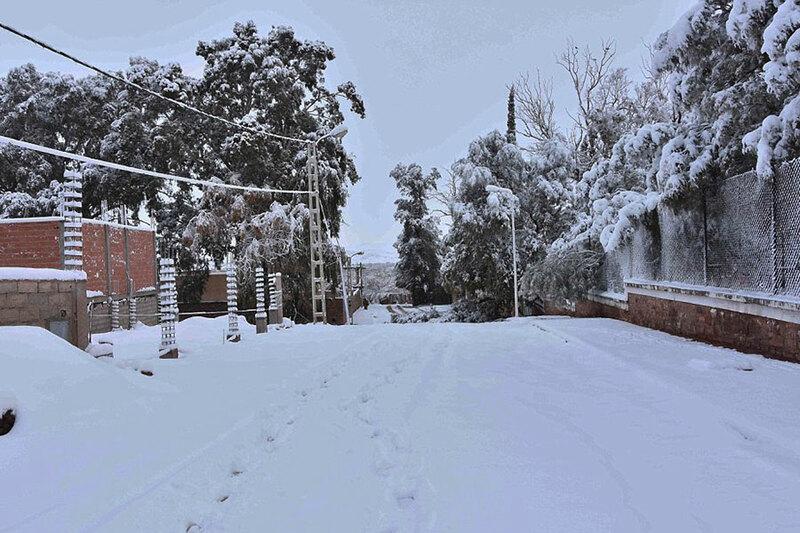 The snow has caused chaos in the town, with passengers stranded on buses after the roads became slippery and icy. 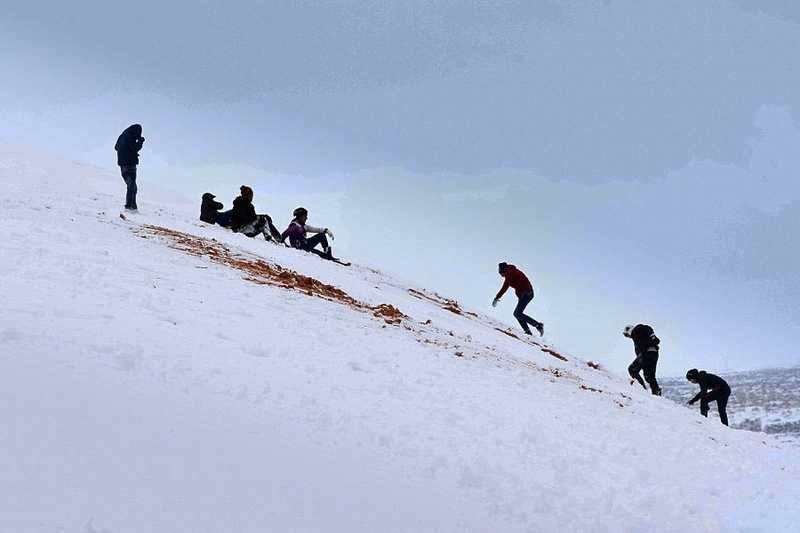 Children are making the most of the precipitation and are building snowmen in the desert town and sledging down the sand dunes for the first time in their lives. The Sahara Desert covers most of northern Africa and it has gone through shifts in temperature and moisture over the past few 100,000 years. Although the Sahara is very dry today, it is expected to become green again in about 15,000 years. Today’s snow comes only days after 2016 was reported to have set records for being the hottest year in history. High pressures over Europe caused cold air to be pulled down into northern Africa and into the Sahara Desert. 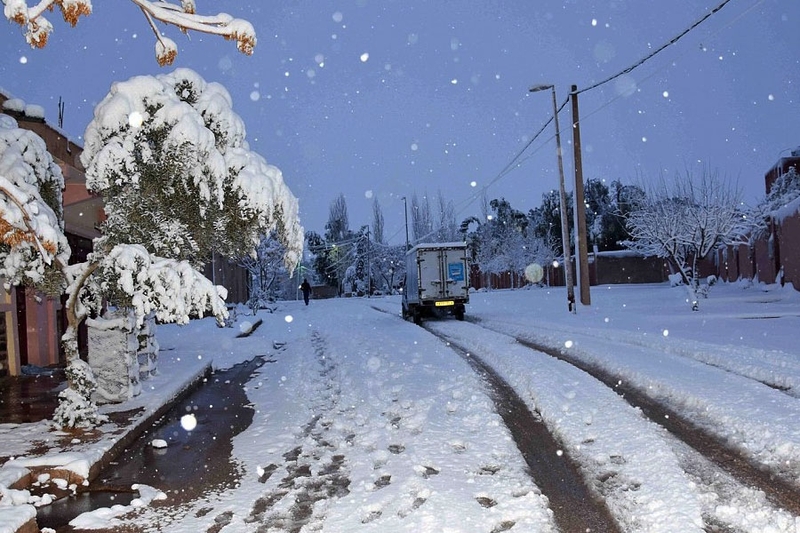 This mass of cold air rose 3,280 feet to the elevation of Ain Sefra, a town surrounded by the Atlas Mountains, and began to snow early Sunday morning.